TCO 8	—Given a more complex problem, develop a complete solution that includes a comprehensive statement of the problem, complete program design, and program documentation. You will need to design an application that will receive the weight of a parcel and calculate and display the cost per kilogram and the delivery charge for that parcel. Calculate the charges using the following data. 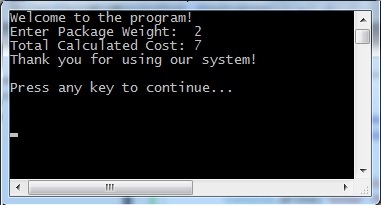 Make sure that the weight entered is a positive number, otherwise your program should display an error message and end. 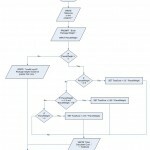 Test your algorithm with the following three sets of data.